Beautiful view from the city. 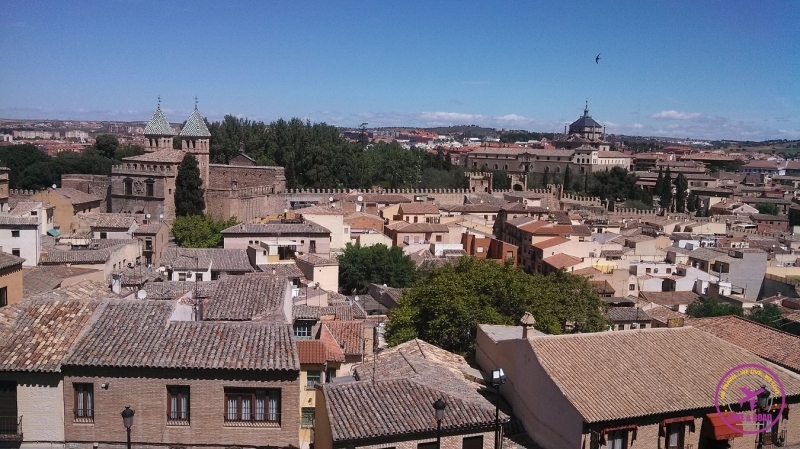 Jews, Muslim and Christians made Toledo a historical and cultural city. It is impossible to explain in a few paragraphs the whole history behind the city of Toledo. Many centuries of political conquers, wars, religions and cultures influences that made this city a special Spanish destination. I am not an expertise in History, but I will try to summarize Toledo’s history just to show why this city is so important and unmissable for any traveller. Toledo’s history begins in 190 BC, when the romans started building the city, but it became really important in the 6th Century during the Visigothic era. Then came the Arabs (8th century), the Jews, and after the Christians again. Surprisely the three religions and culture lived together in peace. This mix made Toledo a unique place, the architecture is amazing and the culture super rich. You can see the different lays of paintings inside the Cristo de la Luz Mosque. With the monarchy and christians in power many jewish and muslim temples were converted into churches. In 1227 a massive and stunning Cathedral was built over a Great Mosque. Even though the peace between the religions remained. The city had it best moment in the 16th century. During this period Toledo was famous for producing the best swords, the silk and tiles were state of art and the spanish spoken there was the purest in all country. Many artists went to live there, libraries and a school of translators were founded. Art and knowledge were in the air. Another nice view from the city! Now Toledo has the title of the “City of the three Cultures” and in 1986 became UNESCO World Heritage due to the amazing architecture that makes the city an open air museum. When Madrid became the new Spanish capital (1561) Toledo lost its political power, however, it keeps alive the Castilla-La Mancha culture and style of life. The streets hold a magical atmosphere, a unique beauty that needs to be visit and experienced. 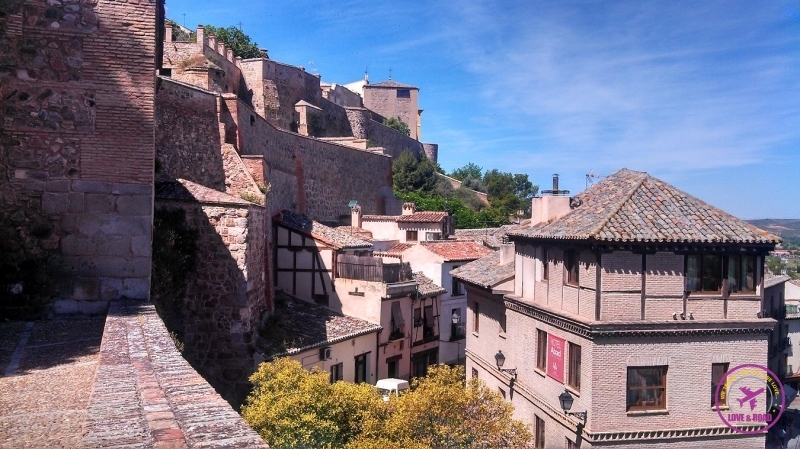 If you are travelling there, check out our post 8 hours in Toledo. What do you do?